Hamden presenting the prizes to the Rimbawan team from UPMKB. 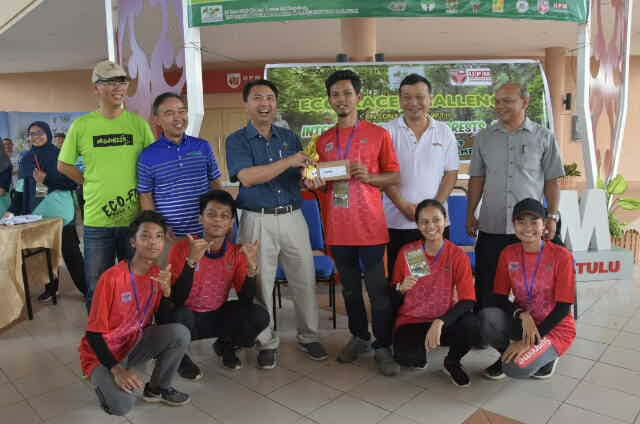 BINTULU: The Rimbawan team from Universiti Putra Malaysia Bintulu Campus (UPMKB) won the Eco-Race Competition organised by Forest Department Sarawak (FDS). 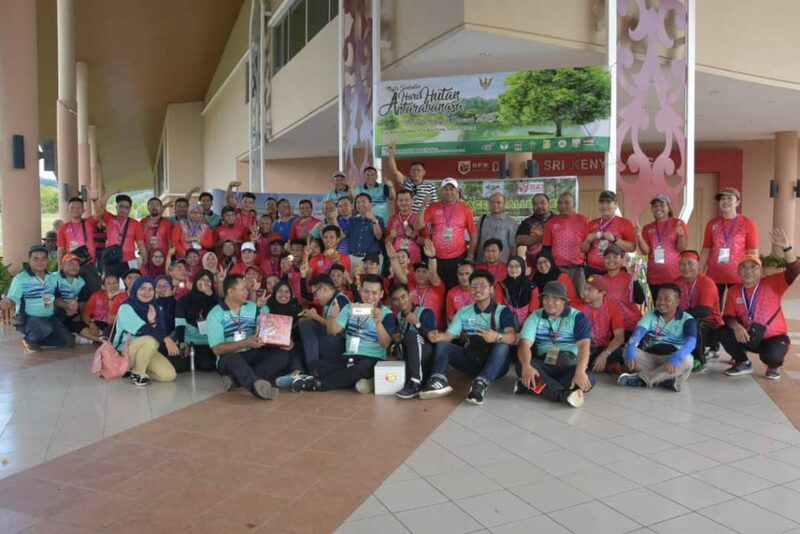 A total of eight teams participated in the competition; they comprised UPMKB students and staff, FDS staff, staff of the Natural Resources and Environmental Board (NREB) as well as other forestry and environmental agencies. 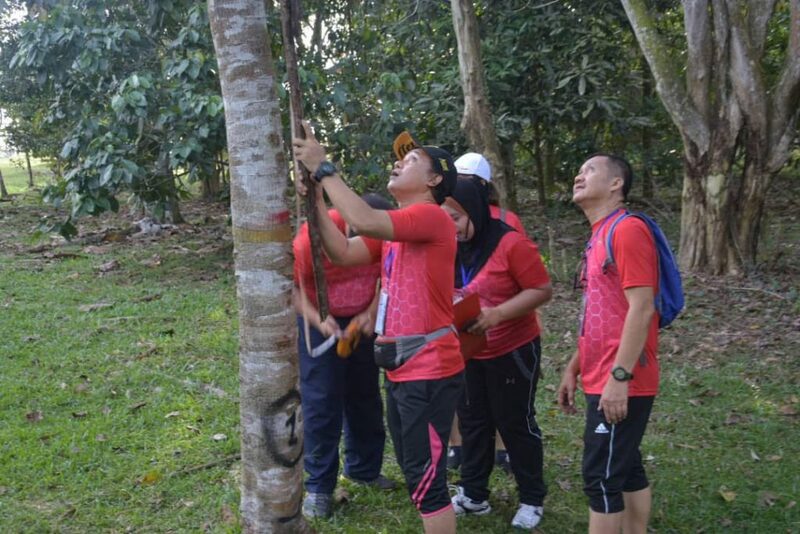 Participants measuring the height of a tree. 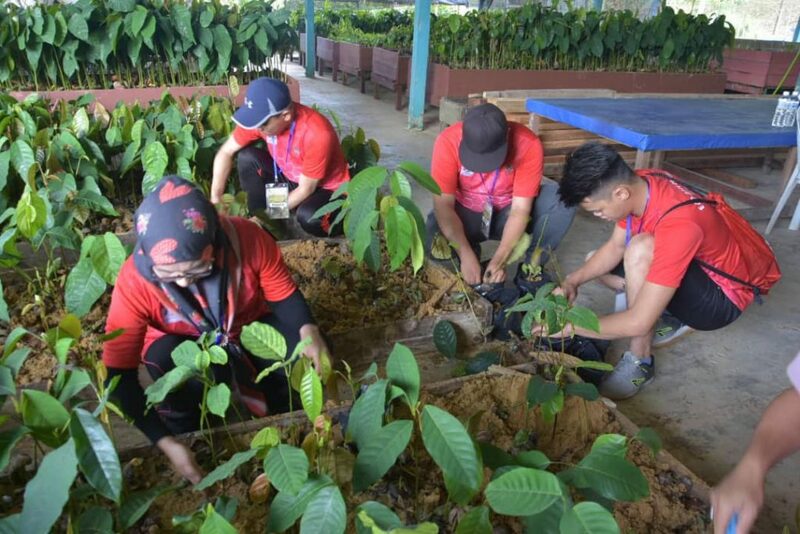 The competition was organised in conjunction with the state-level 2019 International Day of Forests at the university here last Saturday. Potting seedling of Engkabang Jantung. Among the challenging activities of the competition were potting engkabang (Shorea macrophylla) seedlings, measuring the height and diameter of trees, netting fish in a pool, coconut bowling, kayak penambang (kayak taxi), and sawing a pillar core log. 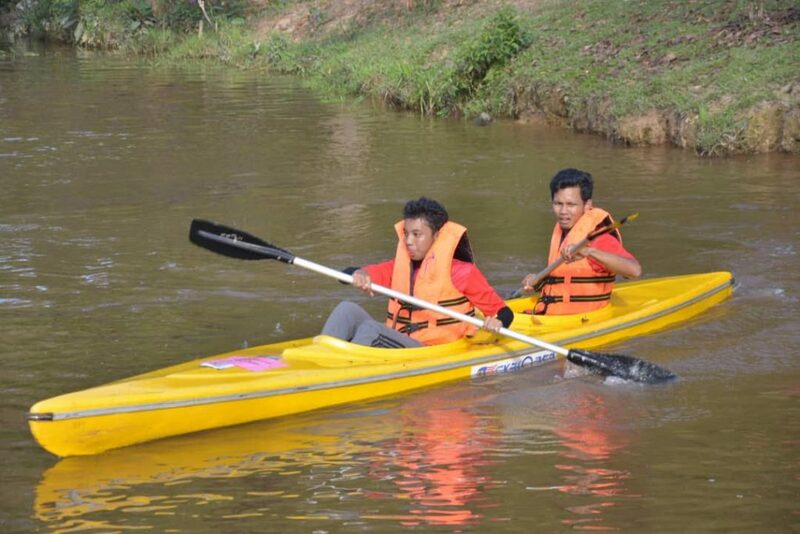 Kayak taxi, one of the activities held in the competition. Besides that, the participants were also required to answer questions related to activities held in the competition. The Eco-Race competition closing and prize-giving ceremony was officiated at by FDS director Hamden Mohammad. FDS deputy director Jack Liam and UPMKB Associate Prof Dr Ong Kian Huat were among those present. UPM Bintulu team wins Eco-Race Competition 0 out of 5 based on 0 ratings. 0 user reviews.